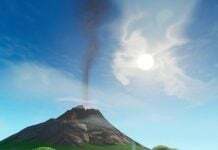 Epic Games held a one time live event last week for the Fortnitemares finale in which there was a small change to the map. 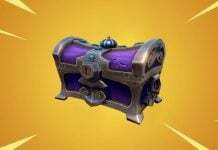 Kevin the Cube and the floating island was destoryed and Loot Lake was changed. 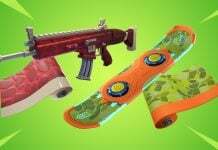 Today, Epic released v6.22 which saw the Heavy Assault Rifle added into the game, a new LTM called ‘Team Terror’, and the return of the Blitz game mode. 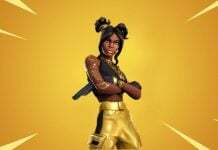 As with most Battle Royale updates, there were some map changes in this update which we’ve highlighted below. 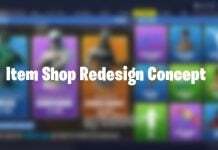 Epic Games announced yesterday that they would be teaming up with NFL which would bring NFL theme skins to the game which will be available to purchase in the Fortnite Item Shop. 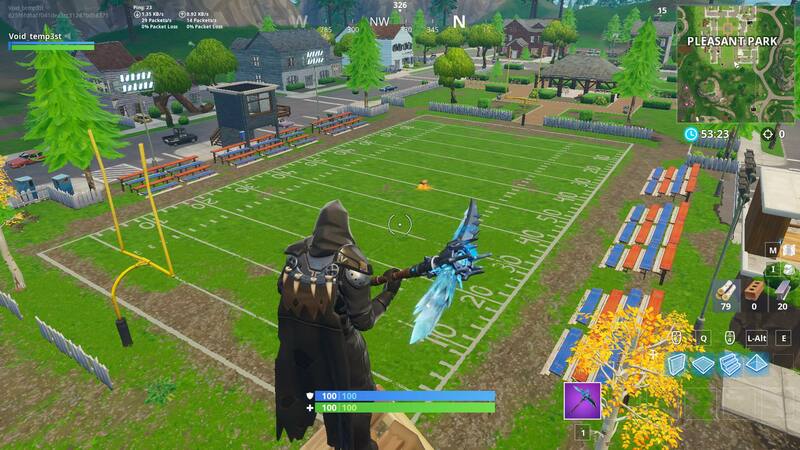 With this announced, it was safe to assume that one or all of the soccer pitches across the Fortnite map would change into an American football field, and this was the case for the soccer pitch found at pleasant park. 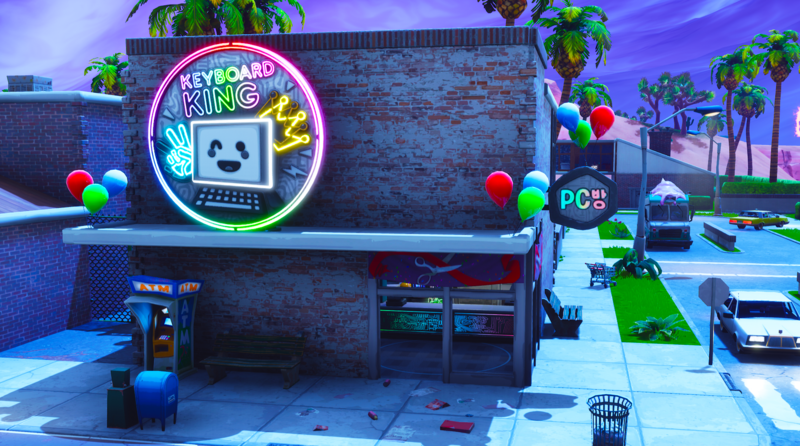 Quite unexpectedly, Keyboard King, a cybercafe has opened in Paradise Palms. 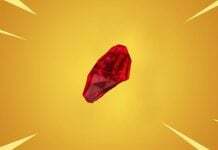 This shop has replace McGuffin’s which was recently closed. 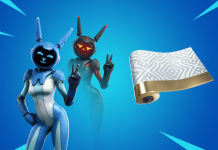 For the Halloween period, Epic themed a store in Retail Row as a Halloween store named Boo! 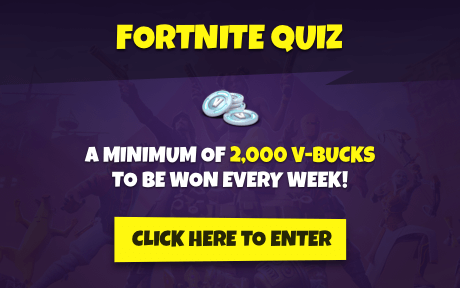 Since the Fortnitemares event and the Halloween period is over, the shop has now closed down completely. 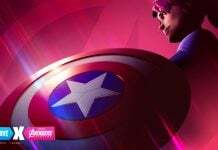 It’s possible this may reopen with a Christmas theme within the next few weeks. 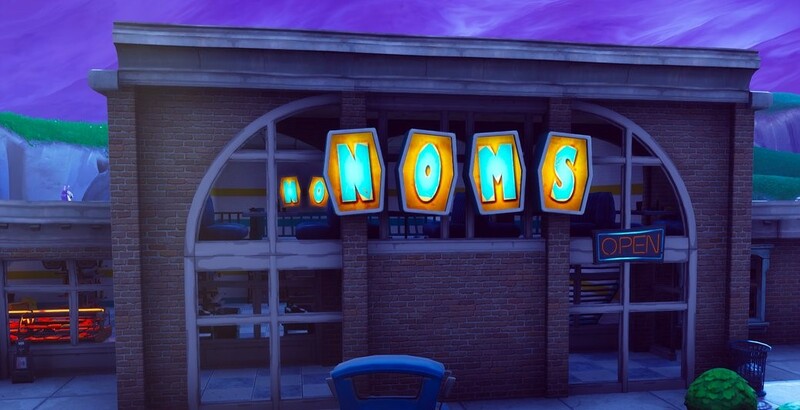 The NOM sign is back on the store in Retail Row. 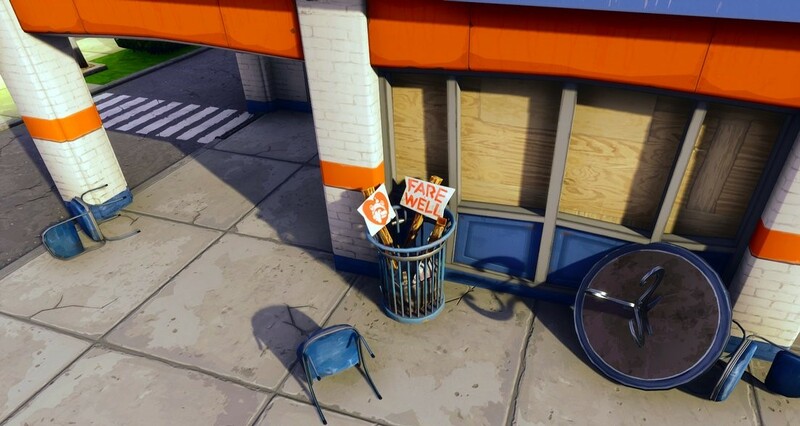 The previous sign that was found North East of Risky Reels is still there, so it appears as though the store had another sign made. 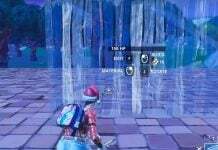 The Halloween decorations that were added to Fatal Fields have now been removed now that Fortnitemares has finished. 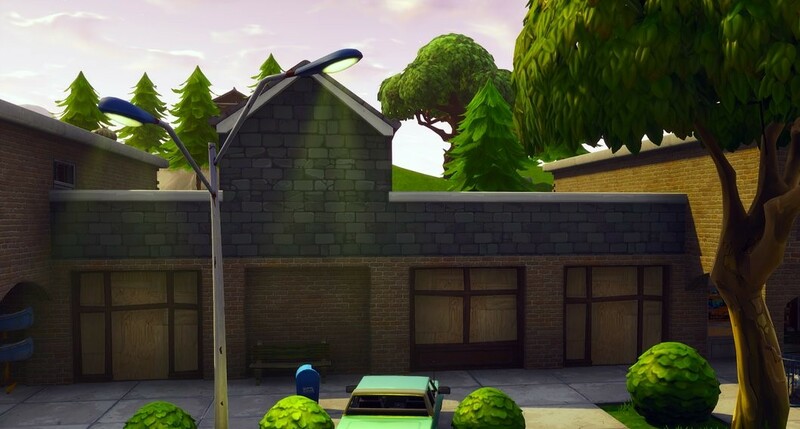 Some of the decorations that were added to Fatal Fields in v6.2 were ghosts in the rach and barns which also had green lights added to give a Halloween feel to it. The fields itself had decorations added to give a haunted theme park feel to it. 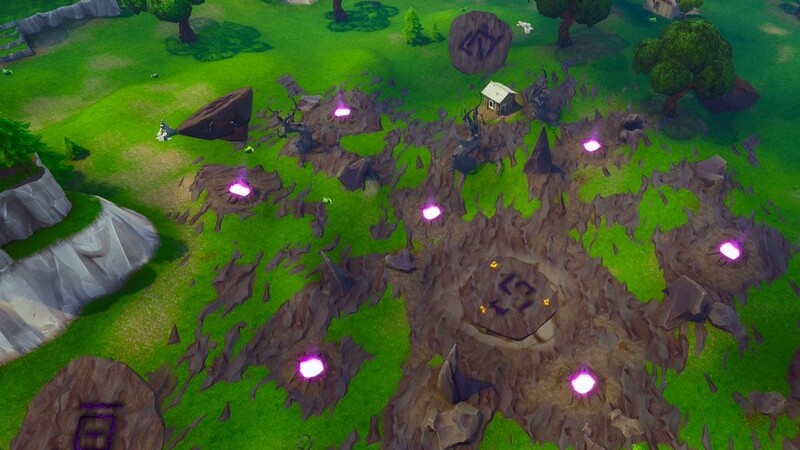 A big part of Season 6 was the cube and the Corrupted Areas, an area in which Shadow Stones could be found. 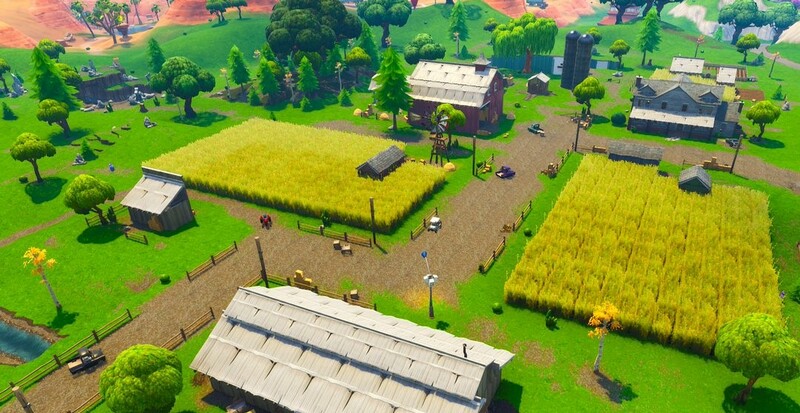 Now that the Cube has been destroyed, the grass is growing back in these Corrupted Areas. 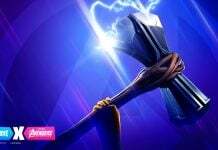 It’ll be interesting to see if Epic completely cover up the Corrupted Areas and how they go about doing so with the Runes still on the map or if the runes and Corrupted Areas still have a role to play for the rest of this season and possibly the next. 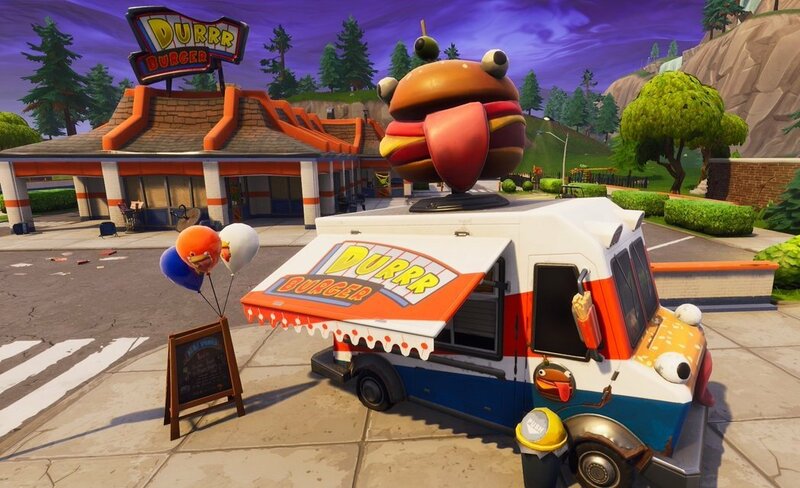 A Durrr Burger truck has appeared right outside the Durrr Burger restaurant, close to the Pizza Pit Truck… this means war.